For all the talk about 'legacy', industry experts are struggling to agree on how Sir Martin Sorrell will be remembered in years to come. When did we all get so hung up on the idea of legacy? The word - used and abused to the point of meaningless around the London 2012 Olympics - has become the obligatory barometer with which to judge the performance of any political, cultural or business leader. Success, it would seem, is no longer enough; anything less than immortality represents a failed opportunity. In the wake of Sir Martin Sorrell’s exit from WPP, a slew of articles were published ruminating on the nature of his legacy, and whether he could be sufficiently proud of it. Yet, for all the thousands of words - mostly written in haste in the hours after Sorrell’s dramatic Saturday night departure - remarkably little in the way of identifiable legacy emerges, beyond the lazy bandying around of terms such as "professionalisation" and "globalisation". James Murphy, co-founder of Adam & Eve/DDB, former WPP employee and one-time legal combatant against Sorrell, summed up the general feeling of magnitude in a recent podcast hosted by Campaign global editor-in-chief Claire Beale. "This guy was part of the fabric of our industry, both nationally, and put us on the global stage. For many of us, he has been a colossal figure in the industry for all of our careers, so suddenly there is a sense of absence. When we look back on this, it will almost seem like a geological moment, like the change from Jurassic to Cretaceous, there will be [pre-]Sorrell and post-Sorrell," he says. Yet how best to judge that era? Is Sorrell a "great name" in the advertising and business world? You bet WPP’s £16bn market capitalisation he is. But has he left a "great example"? Here the debate grows more fractious. Ajaz Ahmed, chief executive of AKQA, which was acquired by WPP for $540m (£398m) in 2012, likens Sorrell to Microsoft founder Bill Gates and says his impact on advertising has been so nebulous that it may only be understood with the benefit of time and hindsight. "Driven, goal-oriented and competitive, [Gates and Sorrell] have achieved unparalleled success in their respective fields. History will not repeat itself; there is no model to emulate. The extent of their business achievements is not only unmatched but barely approached. Triumphs – so varied in their fruition – it is difficult to put them into perspective," Ahmed says. Yet, in the eyes of his critics, Sorrell was a scourge – the embodiment of the doomed agency holding group structure, and the prioritisation of profit over quality of work. Only 18 months ago, media agency pioneer Chris Ingram, famed for his dislike of WPP’s founder (he reportedly said he'd rather lick the floor of an abattoir than work for him), questioned whether the model developed by Sorrell and others had reached its end-point. So who is right? And can we truly ascribe a legacy to advertising’s most famous name? Listening to long-serving WPP lieutenants, it is clear that Sorrell’s leadership style forged a strong sense of loyalty among many of his troops. Charles Courtier, who joined the group with the acquisition of Young & Rubicam in 2000 and went on to run its MEC network globally, recalls his paymaster as the "ultimate competitor" who was happy to be "parachuted" into client-related crises at any given moment. "Having him in your corner from [a new business] perspective was fantastic. He fought for every single win; no amount of effort was too much. He would be available for any client meeting you needed him in, and would make and take a million phone calls a day to solve problems. He was driven in a superhuman way for WPP," Courtier says. Rory Sutherland, vice-chairman at Ogilvy & Mather and one of few WPP employees to enjoy a public profile to rival Sorrell, says he shall "miss" his leadership - and warns rival London-based agencies against celebrating too loudly: "Those of you outside WPP also owe him almost as much as we do, for it is down to his bravado that London remains preeminent in marketing services. "Without Martin I would probably be working for something called Groupe Ogilvy SA and report to someone called Jacques," Sutherland adds (click here to read his full tribute to Sorrell). As global chief executive of Superunion, the new network combining WPP’s five branding agencies, Jim Prior has been closer than most to Sorrell’s attempts to reinvent the group. While questioning whether he would enjoy the idea of a legacy ("it suggests some form of bequeathment, and giving things away easily was not one of Martin’s many strengths"), Prior is eulogistic about Sorrell’s impact on the marketing world. "Martin’s great achievement was that he elevated our entire industry. He professionalised it. He made us not just credible in the landscape of global business but established us as leaders. He inspired us to serve not only our clients but the wider concept of society through services that more closely aligned the capabilities of organisations and the needs of people," he says. "We should not underestimate the extent to which Martin’s ambition, commitment and soul has contributed to a better world. No one else has or could have achieved what he has." A champion for the ad industry in the boardroom and wider business world? Check. A ferociously competitive and inspirational campaigner for WPP? Check. A champion for London’s role in the global marketing ecosystem? Check. So are we to remember Sorrell as a kind of modern-day "victor of Quebec", ensuring English-language hegemony and London-centrism in the advertising industry, and a crusader for marketing services on the slopes of Davos? It feels an unsatisfying epitaph. The angry elephant in the room, of course, is the "C-word". The most commonly-used insult aimed at Sorrell (in polite circles) is that he lacked credibility as an adman. Creativity, it is claimed by some, played second fiddle to building a highly-profitable volume business - and, at times, was given away for free. 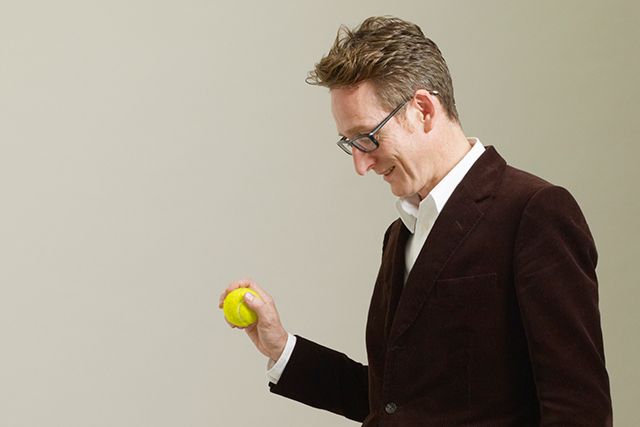 It is a point that Murphy and Helen Calcraft, founding partner of Lucky Generals, debated in their recent Campaign podcast. For Murphy, the "cheap luvvie cliche" of Sorrell as a mere "bean-counter" is "way off the mark" - he describes him as an "amazing account man". In comparison, and while praising the "gravitas" he brought to advertising, Calcraft is less convinced of his credentials. "Some people said he didn’t understand creativity – that may be so. Was he brilliant for creativity? Not necessarily," she comments. Prior is keen to rebuke any suggestion that Sorrell lacked a creative spirit. "In my meetings with Sir Martin the thing that often struck me as surprising was the quality of his eye. He would look at creative work and form an instant impression of its merits, in my opinion with better judgment than many died-in-the-wool creative professionals are capable of," he says. Yet doubts persist. Charles Vallance, founder and chairman of VCCP, argues that "empire" is a good word to describe Sorrell’s legacy. While acknowledging Sorrell’s love of creative awards – last year WPP was named Cannes Lions Most Creative Holding Company for the seventh straight year – he suggests he was "not very close" to the product, and was "more a businessman than an adman". With the previously mollycoddled creative egos playing second fiddle behind managing directors and finance directors, creatives at WPP would "bleat" about their lot - something that irked Vallance intensely. "Don’t be a whinger – go and be creative somewhere else. You don’t have to work for Sorrell, or for holding groups. They chose security but criticised the anchor - you can’t have one without the other," he says. For better or worse, Sorrell’s reputation in years to come is likely to be influenced by the fate of WPP in the wake of his departure – as well as that of other holding groups. Time and tide wait for no man, as they say, and even someone as powerful as Sorrell was susceptible to the changing needs of advertisers. For years he had found a way to adapt WPP’s assets to the challenge, from pooling media agency resources to maximise buying power for clients, to creating bespoke agency "teams" for clients like Ford, and creating a powerful digital trading desk in Xaxis to capitalise on the rise of data-driven programmatic media. However, it was the growing desire for flexibility and simplicity among CMOs that finally presented the hurdle over which Sorrell could not leap. His much-discussed "horizontality" strategy to make agencies work together never really got out of second gear, Campaign’s global head of media Gideon Spanier argues. In last week’s earnings presentationl, WPP’s group chief transformation officer Lindsay Pattison even suggested it was time to "RIP that word". As Publicis makes headway with "The Power of One" and Havas makes lots of noise about bringing creative and media agency teams under one "Village" roof, for the first time in a generation, WPP looks to be on the back-foot and playing catch-up. "I don’t think he appreciated in terms of morale how ‘horizontality’ mucked up agency cultures," Vallance says. "Senior talent were pushed out to entirely different agency teams, and it was quite unsettling for quite a lot of talented people. It is very difficult to create a strong culture in any marketing organisation. To then say we’re going to cut across it - well, it looks good on paper, but not in practice." 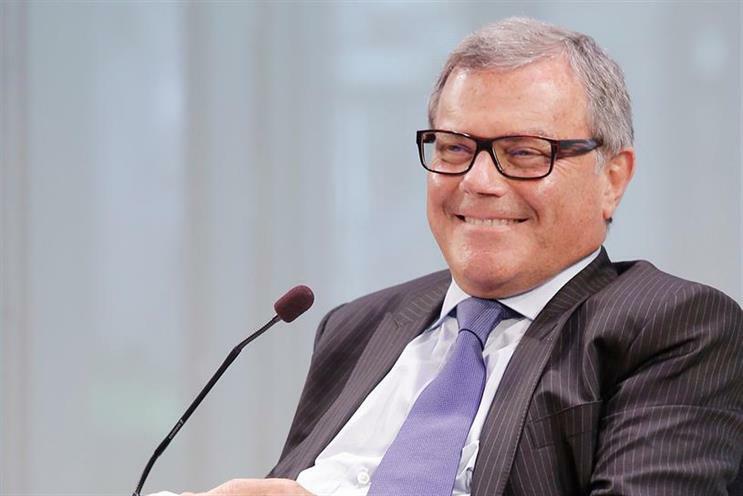 It goes to the heart of Sorrell’s legacy: in WPP, did he create a vehicle for wealth creation and shareholder return, or a force for positive change and innovation in the ad industry? To what extent is WPP a collection of disparate businesses and P&Ls, or do those businesses have synergies that makes their coexistence beneficial for brand clients? Even former colleagues agree Sorrell’s decision-making was not without fault. "To be frank, I never understood the logic behind separating media and creative," Sutherland says. "It seemed to turn an agency from a restaurant into a Mongolian Barbecue." Courtier believes that "an era is ending" for the big agency holding companies. "That doesn’t mean they will go away, but the future will be very different from the past. And it has been an era completely defined by Martin," he says. Perhaps this is where Ahmed is right. We are viewing Sorrell’s lasting contribution to the worlds of advertising and business through the prism of his demise, and it may take months, years and even decades before the full scope of his impact is understood. Paul Bainsfair, director general of the IPA, is in no doubt that Sorrell will go down in history as a "game changer, one of a kind, a tour de force with unequalled achievements". 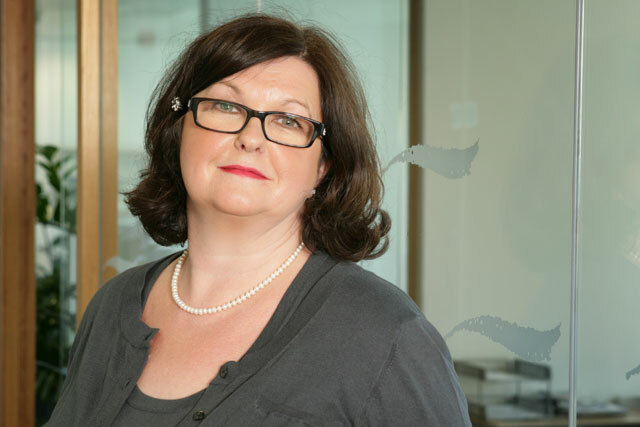 For Debbie Morrison, director of consultancy and best practice at ISBA, Sorrell’s longevity will shine as a beacon in an industry suffering from an increasingly conspicuous absence of grey hairs. Debbie Morrison: Sorrell empire shows "age is no barrier to success"
"Sir Martin’s lasting legacy has to be that age is no barrier to success. As an outsider setting up WPP in his forties he built the most incredible organisation, the biggest UK based holding company, this has to be an inspiration for anyone of any age or experience contemplating setting up their own business today in our industry," Morrison says. Moreover, in an age when younger employees are impatient for acknowledgment and reward, Sorrell’s story is a powerful allegory for the virtues of hard work, ambition and thinking big. "He showed tremendous drive and tenacity, which I like in people. That kind of work ethic is not to be understated. A lot of his peer group couldn’t be arsed – they didn’t have the confidence or the work rate that Sorrell did. It wasn’t just given to him," Vallance adds. And then there is the possibility that we’re all just jumping the gun. At the tender age of 73, and father of an infant daughter, time is still on his side - and the "back to the future" sign-off on his departure note to WPP staff hints at future plans, as does the reported absence of a compete clause in his WPP contract. Recalling his Bill Gates/Microsoft analogy, Ahmed observes: "Without its founder in command, Microsoft has reinvented itself as a leader in cloud computing and eclipsed the previous value of its shares. WPP and Sir Martin now have the opportunity to do some reinventing of their own." Maybe that legacy is yet to be decided after all. Is It big enough to be small enough?